This is a C02 replica of the famous Glock revolver. 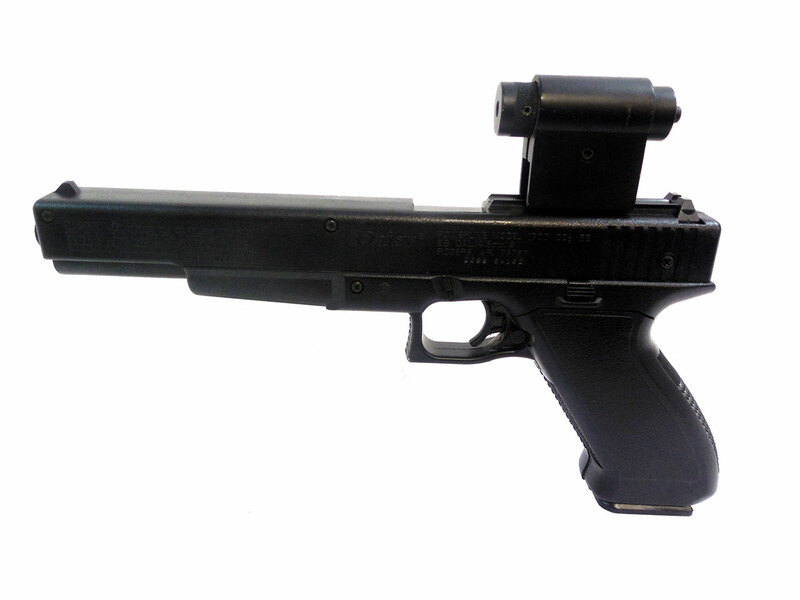 It is a BB caliber repeater with manual safety made from 1991 to 1996. 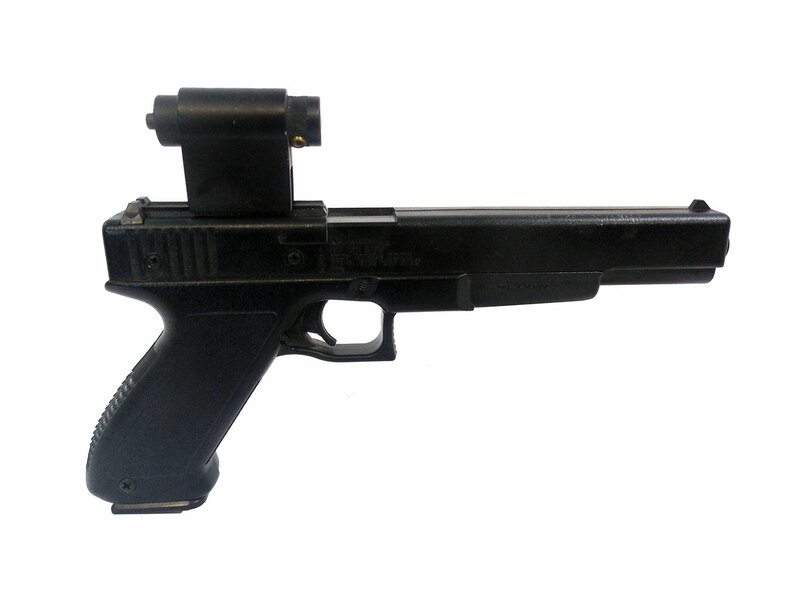 This one includes a laser sight, but needs a battery. It’s in good condition. We tested the velocity in our shop at around 300 fps. Nice gun to have a little fun plinking with.